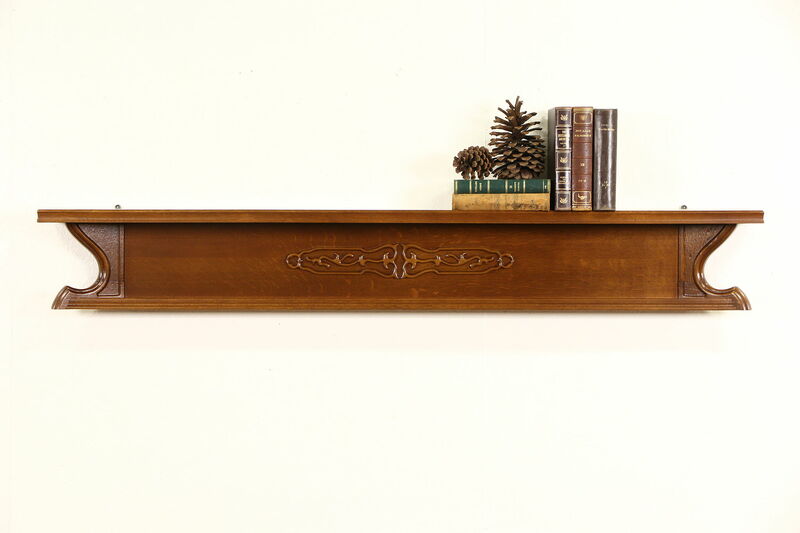 A solid oak wall shelf is 1930's architectural salvage from Holland. The restored finish is in excellent condition on this vintage furniture. Size is 71" wide, 7" deep and 10 1/2" tall.